It is not always fun and games to collect books. Once in a wile I begin to ask myself what I am actually buying and why. I see myself often as an insane collector. 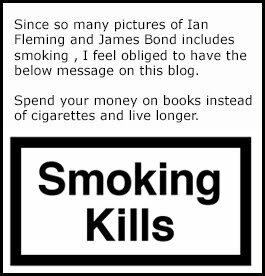 A sane James Bond fan would buy the James Bond books as cheaply as he can. Maybe an old used series of hard back versions (not first editions) that he could read over and over again when he felt the need. But as a James Bond book collector. I must try to find the first edition and if I have it I will buy a new one if it is in better condition. I will also buy the same book over and over again if I am attracted to the cover design. 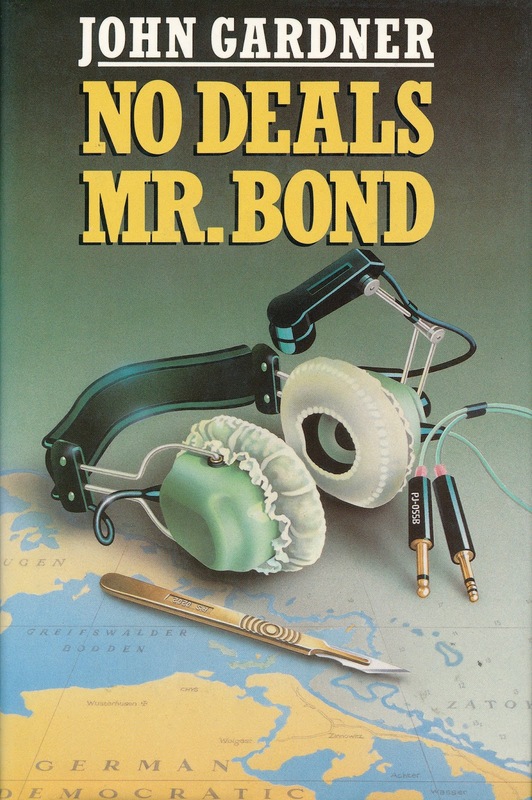 As I have written before, I have over 30 versions of Flemings first novel Casino Royale. Below I can show you my latest catch and then you can decide if I am sane or insane. When I was in London in December I talked to a book dealer who had many James Bond books and was offered NO DEALS MR.BOND in hardback in great condition for £20. I bought it right away along with a first edition of FROM RUSSIA WITH LOVE. NO DEALS MR. 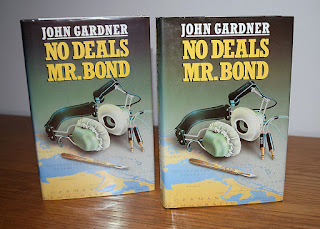 BOND was the only John Gardner first edition I was missing but I was so happy that day that I did not notice that the book I actually bought was a second printing book club edition instead of a true first edition. The differences between these two books are minimum. 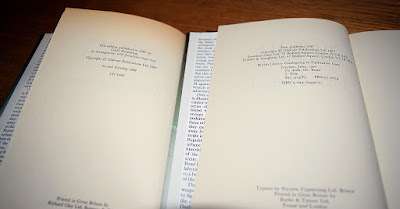 It is the logo on the spine (as you can see above) and the first edition have the price of £10:95 on the dust jacket and the book club version has no price. The true differences is actually on only one of the pages. It is the page for the book publisher stating that this is a book club edition with its second printing. Otherwise the book looks absolutely the same as the first edition. But I was still not happy. I wanted a true first edition and as the old man said "Good things comes to those who wait". The other week I finally found a true first edition on Ebay and I bought it for as little as £7.58. A true bargain even cheaper then it was when it was released. I would easily have paid £40 for it. No what is your verdict? Am I sane or insane? What do you collect?